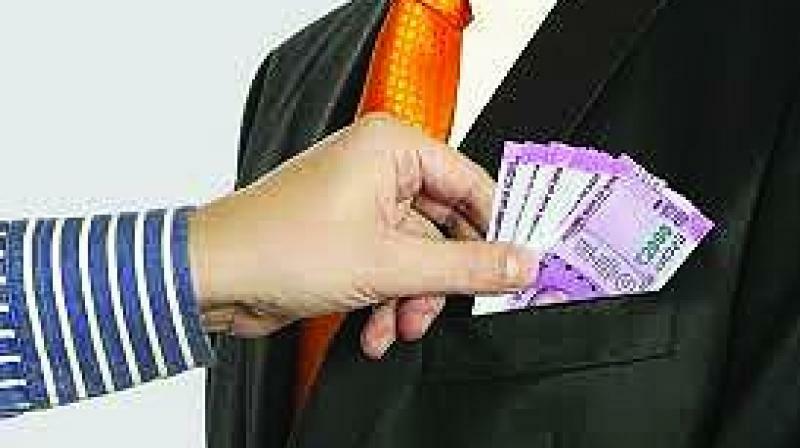 Assam 5th 'most corrupt’ State in India! Assam 5th ‘most corrupt’ State in India! According to the 2018 report of the World Bank, while India has climbed up 30 places to make it to the list of top 100 countries for ‘ease of doing business’, Assam has been considered as the fifth State in the list of ‘most corrupt’ States in India. A report of ToI published on Monday, stated that while the Government has been gung-ho over the achievement of climbing up 30 places in the list of top 100 countries for ‘ease of doing business’, “ground realities tell a different story”. The report stated that only 43.5 per cent of entrepreneurs face no problem relating to corruption in their respective States, while 30.8 per cent of the entrepreneurs consider it to be moderate and the rest say it is very serious. The report also stated that while the entrepreneurs had faced the most corruption practices in the State of West Bengal with 52.9 per cent of them list it as a foremost issue, followed by Tamil Nadu with 48.8 per cent, Rajasthan with 34 per cent, Punjab with 32.3 per cent and Assam with 31 per cent. With this revelation, the report has exposed the claim of Chief Minister Sarbananda Sonowal-led State Government in Assam that it has ‘zero tolerance’ towards corruption. Chief Minister Sonowal, who leads a BJP-led Government, in most of the time asserts that his Government has taken tough steps against corrupt officials and as part of its ‘zero tolerance towards corruption’, a large number of Assam Civil Service (ACS) and Assam Police Service (APS) officials and other top officials, who got appointed through corrupt means along with many other corrupt officials, were arrested during his regime. But with Assam listed as the 5th most corrupt State of the country as per the report has exposed the tall claims of Sonowal. It may be mentioned that former Chief Minister Tarun Gogoi, who led a Congress Government in Assam for 15 years, emerged as one of the clean CMs of the country when he took charge as the CM of the State for the first time in 2001. Later his Government came under criticism for massive corruptions in various sectors. The BJP came to power in Assam and formed a coalition Government in 2016 with a promise to give the people of the State, a corruption-free Government. But the report has reflected a complete different picture of the State’s position in the matter of corruption. On the other hand, in the eyes of industrialists, Gujarat has emerged as the most corruption-free State, followed by Himachal Pradesh and Andhra Pradesh.